Atlantic South Region: Senior Games competition and a demo for new players. Senior Games competition and a demo for new players. 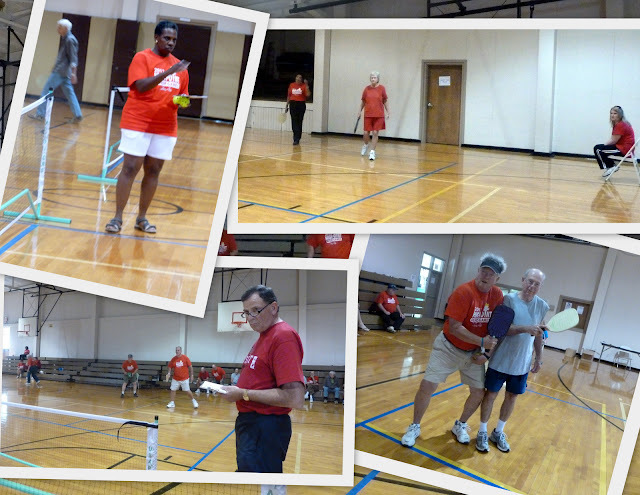 High Point Senior Games took place on May 3rd. We had a total of 28 people sign up for pickleball but lost 4 of them to injuries prior to the start of the games. We had 5 women’s teams and 7 men’s teams. We played a round robin tournament (one game to 15, win by 1). I had one other player to help me referee since he was injured and couldn’t play. We had a couple of people who had only been playing for about a month but they have been on the courts every week since the games and they vow to master this game. 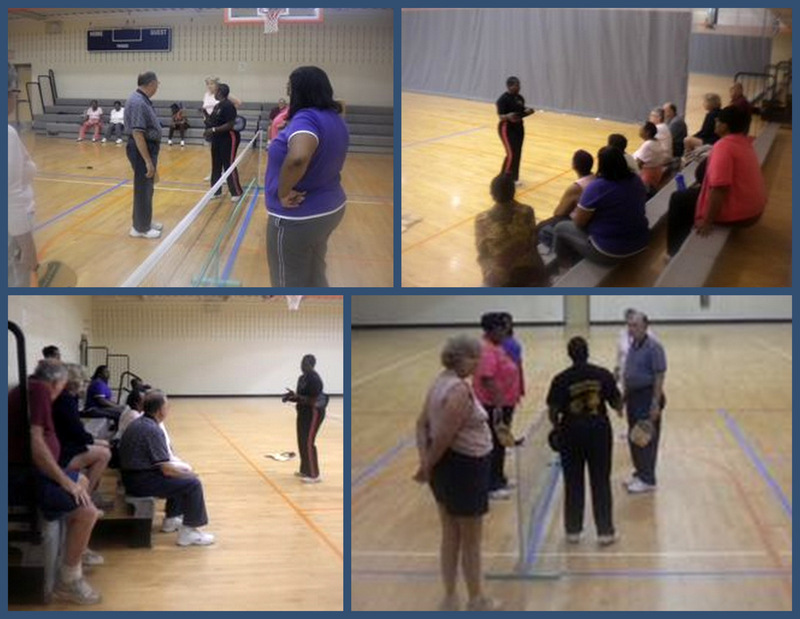 On June 6, 2012, I performed a pickleball demonstration at Gateway YWCA as requested by one of the program reps. They had some seniors that normally participated in a Yoga class but the instructor talked them into trying a new sport! We had a total of about 12 seniors to participate in the demo. I spent a few minutes talking about the history of pickleball and then had 4 people grab a racquet and get on the court. The rest of them watched and listened very intently to all the rules. I showed each set of players the dink shot and the serve and then we played a few matches to 5 points. They really enjoyed the game and asked if they could play again that Friday!